Interoperability is in disarray with no clear end in sight. Interoperability describes the extent to which IT systems and software applications can exchange data and interpret that shared data. For two systems to be interoperable, they must be able to exchange data and subsequently present that data such that it can be understood by a user. As a fellow Stratanaut, this flaw within our data exchange system is concerning based on how it can affect the level of patient care you can provide. Administering effective and informed patient care requires that the data systems you use be stable and reliable. When a patient walks through your doors, you must be able to quickly see and understand his or her medical history. Moreover, you must be able to document the patient’s diagnosis and treatment plan so it may be shared with other caregivers down the line. The need for a solution to this data exchange problem is apparent with $34 billion having already been spent by the federal government to correct the issues. With so many gaps in the system remaining, there is still much work to be done before these issues are fully resolved. The pundits know as little as we do. We had the pleasure of hearing from a prominent pollster, a reporter for Politico, U.S. Senators Lamar Alexander (R-TN) and Bob Corker (R-TN), Congressman Jim Cooper (D-TN), Congressman Yarmouth (D-KY), 3 D.C. Lobbyists and others who all came to the same conclusion: the only constant in D.C. is change. The main takeaway from these discussions was that the challenges we face can’t be fixed by Capitol Hill alone. Hospital systems and healthcare providers must take control of the areas that are available to control, focusing on areas where strategic growth is possible. While we look to Washington to chart the future’s course, it is important to not sit back and wait for change. Rather, we must proactively look for ways to grow and serve the community where we can, as best as we can. D.C. is still beautiful. Leadership Health Care Board Member Ted Lomicka led a small group of us at dawn on a 4.3-mile “fun run” around the White House. 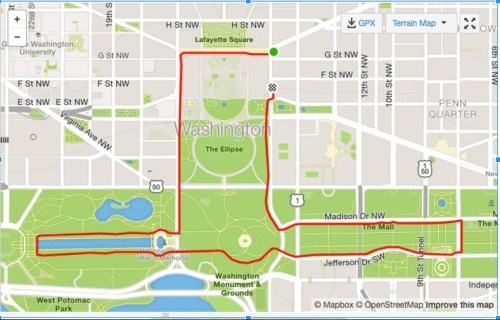 Our run stretched from the Lincoln Memorial, past the World War II Memorial, the Washington Monument, and down the mall past a few Smithsonian buildings and towards the Capitol. It was a great way to see the city and be filled with the eternal optimism that is the spirit of our great country. 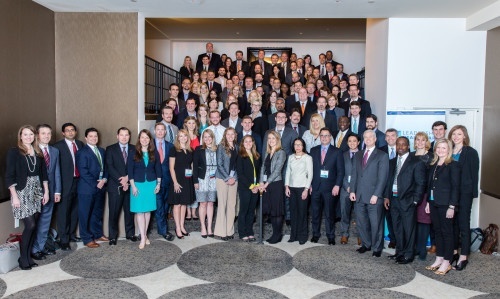 The team at the Nashville Health Care Council and Leadership Health Care put on an amazing event that was insightful, filled with networking opportunities, and perfectly organized. If you have a chance to join the trip, or if you are interested in joining Leadership Health Care, I highly recommend both!